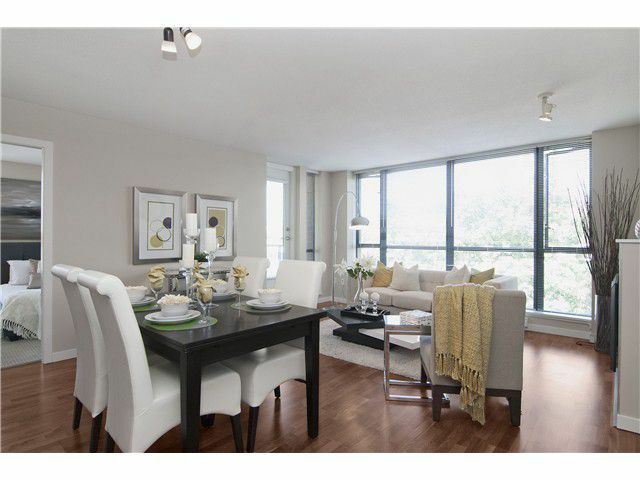 Beautiful condo, great lifestyle, fantastic location, terrific value for live-in or investment. This 960sf 2bdrm, 2bthrm corner condo is on the top floor of the 'podium' section of 'Tandem', one of Burnaby's best communities. Cross-unit bdrms, 2 full bthrms (ensuite in mstr bdrm), a perfect entertaining layout w/ large island kitchen and easily laid-out large living/dining area w/ fireplace, generous balcony, tons of light w/ large windows on two sides and modern finishes including granite & stainless steel equals a perfect city home. Tandem features a well equipped gym, hot-tub,outdoor playground, shops & cafes right downstairs, Brentwood Mall 2blks away, and Gilmore Skytrain Stn next door. Pets/Rntls Ok. Open 2-4 Sat/Sun.